At an early age, I knew I wanted to be in hair design. As a young stylist, I was strongly influenced by the mentors I worked with and thrived on continuing education, finding that “it” was the key to success. Now as a third generation hairstylist, my love for the industry has grown into a role of leadership and exemplifying what hard work and determination can do. After opening Trichology Salon in November of 2008, I'm eager to share the knowledge I’ve gained over the past few years with positive energy that will resonate through our future industry professionals. Travis Briggs, co-owner and hairdresser of Trichology Salon, creates multifaceted looks for his clients by drawing interest and inspiration from fashion trends of both past and present, vintage and contemporary, strong shapes and soft. With lifestyle and suitability in mind, a haircut that makes his client feel their best and that can be managed in between appointments with ease is always at the forefront of his process when creating new looks. A great experience is at the center of Travis’s approach to his clients haircut. Creating lasting relationships that manifest into true friendships and family. Knowing that he’s going to be there for all the big moments in your life and you’re going to be there for his, your experience with him in Trichology is much more than just a service that he’s providing for you. Travis studied at the academy of Hair Design and went on to receive his Masters Instructors Degree there as well. He’s furthered his education with multiple classes at the Vidal Sassoon Academy in Santa Monica, Toni & Guy, V76 and most recently with Pony Studios now being able to mix razor cutting in to get the lived in, effortless styled look that razor cutting is so good with while mixing in his scissors for a more precision look. Travis is very proud to offer to a clientele of diversity and fostering an inclusive environment. For a glimpse of his work see his instagram. Tiffanie is an integral part of our team at Trichology Salon! She graduated from Duncan Brothers Academy in 2015 and she has advanced quickly from Assistant Stylist, to Stylist, and now Salon Manager! 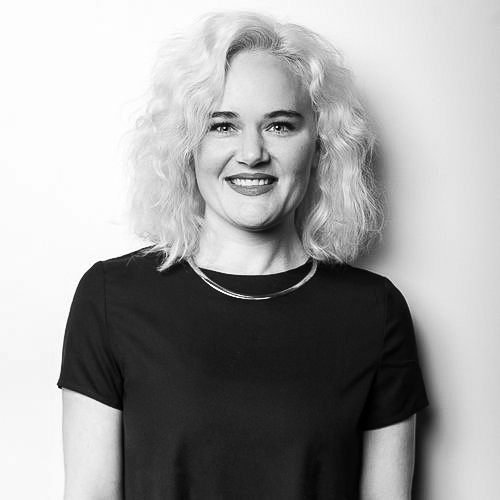 Her education includes classes from Sassoon Academy, Ashlee Norman hands-on color training, education with The Business of Balayage, and the Salt Society. She especially enjoys cutting technical bobs and working with beautiful blondes of all shades. We are proud to refer clients searching for additional length or volume to Tiffanie for her skill with Hot Heads Hair Extensions. Your visit with her will leave you feeling revitalized and sure to return! See Tiffanie's work on Instagram! Blakeley began her career at seventeen, studying at the Hair Arts Institute, a Sassoon Connection School. Blake's drive to achieve excellence in hair at the highest level began early on. Through Sassoon teaching, she practiced the skills of precision cutting and how to best suit each individuals needs while staying fashion forward and on trend. As a licensed barber, she provides straight razor shaves and classic men's cuts along with beautiful modern color and styles for women. See her work on Instagram! Analysha graduated from Duncan Brothers in June of 2016, and in her time at Trichology Salon has proven her skill with everything from Men’s Cuts and textured hair to Balayage color techniques. She’s known for her welcoming presence and amazing customer service! In addition, Analysha has quickly taken on a major role in our Bridal Styling Team. She looks forward to expanding her abilities and creating a beautiful space for her clients to achieve their hair goals. Check out Analysha’s work here. Oklahoma native, Britni Jay, has always known she wanted an artistic career. In 2012, she began training at The Aveda Institute in Charlotte, NC. After graduating, Britni returned home and began working at Trichology Salon. Britni is especially passionate about color and believes in its endless possibilities. She is highly sought after for her Balayage services and is a current educator for The Business of Balayage. Britni is continually working to perfect her craft in all areas of color, cutting and styling. She has led our stylists in education on innovative Balayage techniques and loves to share her knowledge. She's known for her warm personality, amazing consultations and professionalism. You can see a sampling of her work on her Instagram. Josiah has been living in Oklahoma City for sixteen years. He has been actively involved in serving the needs of his community in various capacities and now finds himself as one of the newest members of the Trichology Salon family. Since graduating from the Duncan Brothers School of Hair Design in 2007, his passion for community continues in the form of making clients feel like the best versions of themselves. “Creativity takes courage.” J Gimm has taken those words to heart and exudes a courageous attitude toward every style, cut and color he undertakes. In one-on-one training from world-class top stylist Nick Berardi, J learned how to push the envelope of creativity based upon classics. He’s adept at working with clients to highlight the beauty each one possesses. He has made it his life’s mission to help each client become a living masterpiece. His pedigree includes Toni & Guy and Vidal Sassoon techniques, as well continuous training from TIGI academy, Wella Studio L.A, The Business of Balayage, Ashlee Norman Hair and many other esteemed instructional opportunities. As an artist, he boldly blends these concepts together into something original for each client. A deep thinker, J is accomplished at cutting, having won first prize in the 2016 Nick Berardi Haircutting contest, styling and coloring, including Balayage. J specializes in women's and men's fashion-forward cutting and styling, and he exhibits the daring determination to bring pleasure to the lives of his clientele in any way possible. See J's work on Instagram! Jerod has been in the industry for 15 years. At 16 years old, he began his career as an assistant. By his high school graduation, he knew barber school was the only thing for him. He followed up his basic training with multiple advanced cutting classes with Toni & Guy and Vidal Sassoon. With his passion and focus in cutting, he became a Barber Instructor and passed his knowledge on to students for three years. Jerod's clientele varies from fashionistas and "Ladies who Lunch" to doctors, mothers and mechanics. Jerod has teamed up with color specialist Hillary Jarko. Born and raised in the area, Hillary loves being a part of a city growing and bringing more people to life! She pulls inspiration from fashion, art, film, and city life. She turns these forms of creativity into hair for each type of person and showing their individuality. Focusing on color, she has partnered with cutting specialist Jerod Stephens for a cut and color team. Her diverse clientele includes driven career-minded individuals and encompasses musicians, lawyers, doctors and mothers. View more of Hillary’s work here. Andrea Lemonds is a licensed Barber Instructor and Stylist with a passion for hairstyling, cutting and education. Her achievements have been featured in OklaVision, Behind The Chair and The Oklahoman. 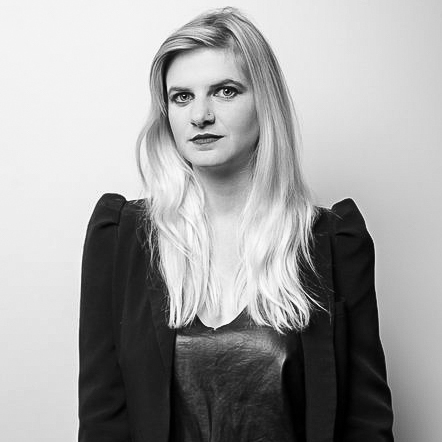 She has pursued learning all the way to London and back with a focus on styling and cutting techniques. Miss Lemonds's work has awarded her a feature in Behind The Chair's Raw Talent- Braids & Updos and a top five placement in The Oklahoman's Reader's Choice Awards 2014. Andrea lives by her craft and ethos: “Discovery of the past leads to understanding the present and so imagining the future.” See more at Andrea’s website. Amanda is a graduate of the Hair Arts Institute, a Sassoon Academy Connection School. Originally she began her journey in the creative arts by attending the University of Central Oklahoma and earning a degree with an emphasis in Graphic Design. She worked several years in a salon as a receptionist and salon coordinator which led her to an irresistible interest in the art of hair. Combining her passion for design with the constant inspiration she pulls from fashion and art, she has built her skills significantly in the areas of color services and haircutting. She enjoys creative problem solving and is eager to continue her education to provide the best, fashion forward services possible. Amanda prides herself on providing superior customer service and genuinely enjoys the people centered aspect of the salon industry. Keep up with her work on Instagram. She can’t wait to meet you! I graduated from Barber School in 2009 and found Trichology Salon and my salon family in 2010. I found joy, laughter, professionalism, continuing education, photo shoots, fashion shows, video shoots and my love for working behind the chair. I have a passion for blondes, bobs, short woman's hair, men's grooming and straight razor shaves. I have mastered the art of tapers, fades, classic clean cuts, modern chic cuts, and messy texture. I am fun-loving, sweet, kind, open-minded and service oriented. I enjoy reading, writing, painting, drawing, dancing and many other artistic expressions. I have a daughter that loves to keep me busy when I am not at work. I have a love and gratitude for life that is beyond explanations. Check out her Instagram here. Andie grew up saying she was going to be an artist, as everything creative and hands on has always inspired her. After receiving a degree from Oklahoma State in Graphic Design with an emphasis in Illustration, she shifted her focus to hair. Working behind the chair became Andie's passion. What had been missing in the design world, she discovered, were the people. Utilizing her creativity while making people feel their best became Andie’s dream career. Because of her love of learning, Andie has travelled internationally to expand her knowledge and is now on a path to pass this on to others. Andie has also trained for, and received, her Barber Instructor License. Along with her love of the hair and fashion industry, Andie is an avid reader and member of a bookclub. She also enjoys learning about other cultures and traveling the world with her husband Jerod. See Andie’s Instagram for more. Dianna started in the industry in 2005 when she was a senior in high school. After high school, she enrolled at the University of Central Oklahoma while simultaneously acquiring her barber instructing license. Upon completion of her instructor hours, she discovered her true passion was in hair design. Dianna worked as an educator until deciding her passion was behind the chair. Dianna was a part of the team to open Trichology in 2008. She gains inspiration by traveling world wide. Her experience, style and determination to create has landed her in publications such as Teen Vogue, Tantalum Magazine, and other online magazines. One of her favorite achievements was styling hair with Oribe education for Adeam and Badgley Mishka during New York Fashion Week. Dianna’s education, experience, and creativity will allow for a personal look which is tailored to each of her clients. Casey began her career in the hair industry in 2006. Since then, she has obtained licensure as an instructor in both the barbering and cosmetology fields. Creating behind the chair in a salon with guests has always been a fulfilling passion of hers, but continuing education for herself and others has been just as important. She believes there is nothing better than sharing the knowledge and motivation she has received over the years from numerous mentors which led her to pursue a career as an educator in 2012. Casey has completed training as a stylist and educator for several companies such as Sassoon, Toni & Guy, and Wella Professional. She values the experience she has received from the opportunity to work in salons from one side of the country to the other. Casey thoroughly enjoy all aspects of this industry from men’s work including straight razor shaving, women’s cutting and styling for all lengths and textures, traditional and modern color work, to working with children. She values the versatility and precision in her skill and her inclusiveness to all. Hannah, originally from Texas, moved to Oklahoma to attend cosmetology school and follow in her mother's footsteps. Growing up in a a salon and watching her mother behind the chair inspired her decision to join the industry at a young age. She has a passion for making people feel confident and beautiful. Hannah thrives on education and is excited to explore new possibilities and opportunities as part of the Trichology Salon Team! See Hannah’s work here! Mason graduated from Paul Mitchell in 2013 and has been on a voyage of creativity ever since. 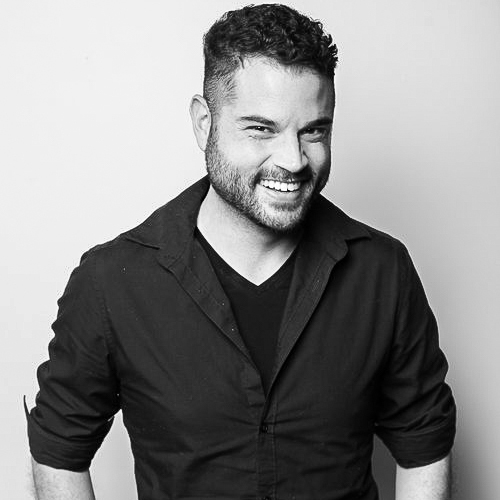 Mason originally joined Trichology Salon in 2014 and felt inspired by the emphasis on continual education as well as the collective knowledge and experience the team holds. This motivated him to train for two years at one of the top salons in San Francisco, where he learned innovative coloring and cutting techniques from some of the greatest minds in the industry. Back behind the chair at Trichology Salon, Mason specializes in custom colors and wearable, textured haircuts for everyone. In Mason's chair you can expect honesty, humor, and a West Coast blowout. Tina is a graduate of Hair Arts Institute, a Sassoon Academy Connection School. After achieving her bachelor’s degree in Advertising from Oklahoma University, she spent two fulfilling years in Korea teaching English to young children. Her passion for teaching has inspired Tina to further her education in hair and complete her Barber Master Instructor Certification at the Hair Arts Institute. Tina is skilled in both hair cutting and coloring. She enjoys bob haircuts and traditional men’s barbering, specifically short men’s cuts. Tina’s love of education encourages her to continually challenge herself as she advances and updates her skill set with current trends. Above all else, Tina can be depended on to go above and beyond to ensure her clients love her services. Check out Tina’s Instagram for more. Eric has a passion for fabulous hair and has been in the industry for five years. He loves his diverse clientele and strives to offer the best. Eric is Vidal Sassoon trained and certified and is always seeking more knowledge. Manipulating color is an art form he cannot get enough of! Eric offers tailored color services, from subtle to dramatic dimensional looks, as well as Keratin Complex Smoothing Treatments and Hot Heads Extensions. He is passionate about each and every product he uses to create manicured styles. Guiding his clients toward their perfect look, and achieving and maintaining healthy hair, is Eric's specialty. See Eric’s Instagram here. Bailey was raised within the salon industry. She is not only known for her amazing knowledge and customer service but is also a licensed Hair Tailor herself. Trichology is proud to have such an amazing and multi-talented face behind our Front Desk. Bai is also a blossoming drag artist in OKC. Mary became interested in hair design at the young age of 14. She has been licensed for 5 years, but is currently leading the receptionist team! She is also an artist and a free lance model. Call Trichology today and Mary can help set you up with one of our many talented team members! Austin is a graduate from the Academy of Contemporary Music and strives to accomplish a well rounded artistry to share to the world. When Austin is not working on his profession, he is working as a front desk coordinator with the most talented and artistic stylists within Oklahoma. He also spends his extra time coaching and styling contestants for the Miss America and Miss Oklahoma systems! Austin wants to create a friendly and welcoming environment at Trichology with his high energy and ability to talk to anyone! Come by and book your appointment or if you just want to chat about life!